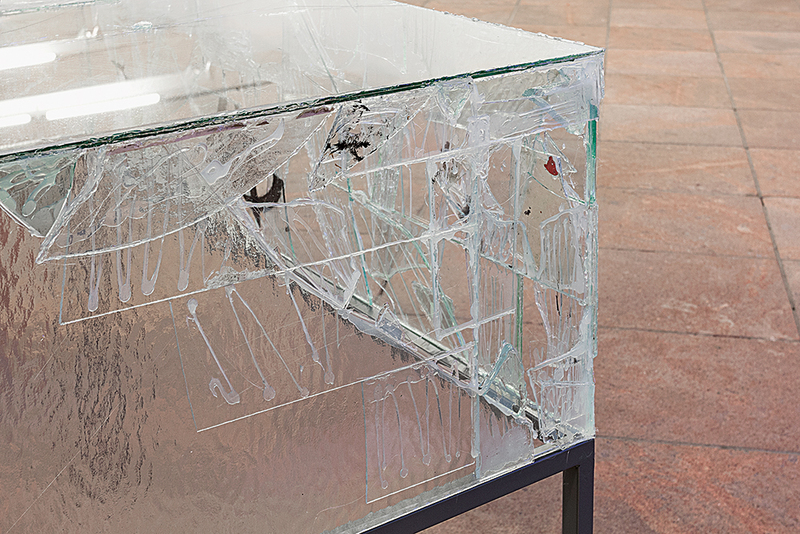 Found glass-shards from renovations, hot glue, boxes, metal-rack, laquer, site-specific shapes and adaptive exhibition design. 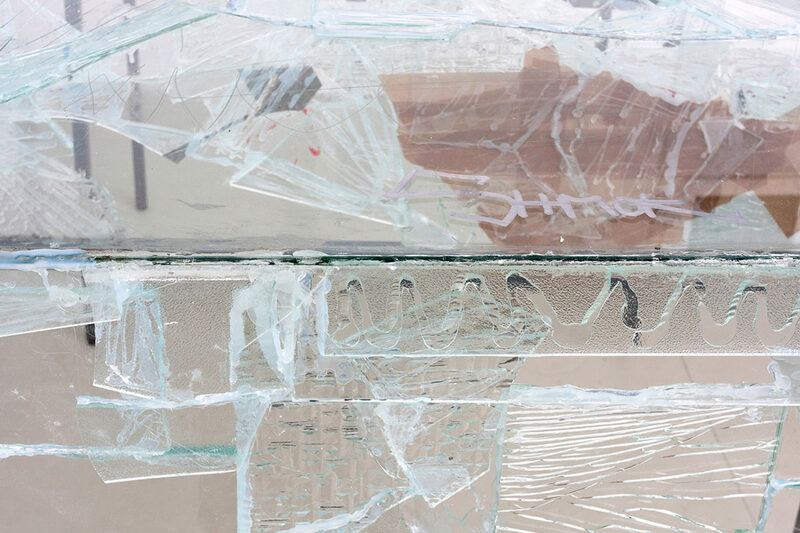 The „ex“-part of the project „de- / dis- / ex- / im- / re-ponere“ is a series of site-specific glass sculptures, that are created out of broken glass shards that were found on each city’s streets. 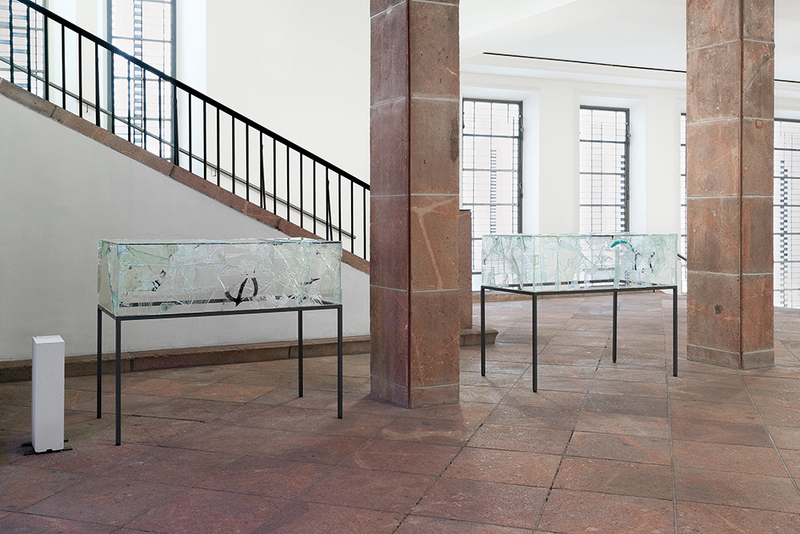 The reassembled empty glass corpuses establish a link between a critique towards traditional museal representation methods and pattern of current commodity culture. What is it that marks an object as a culturally relevant representative? 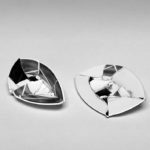 Besides raising questions about symbolic mechanisms of representation, the reassembled glass pieces tell us micro-stories about their earlier life. These are artifacts of urban change that today’s metropolis is often going through. In cities like Berlin, London, Paris, Istanbul, Leipzig and others this change becomes most recognizably visible through a quick raise of rents and a herewith connected displacement of affordable living environments. 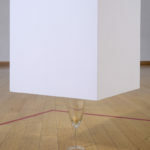 Whilst missing out a certain object of desire, the display itself becomes present and moves the spectators gaze onto the settings of presentation. What measures an objects value, how is its cult status getting created. To what extent does the staging and setting of presentation cover beside-lying, seemingly unimportant or even original structures? 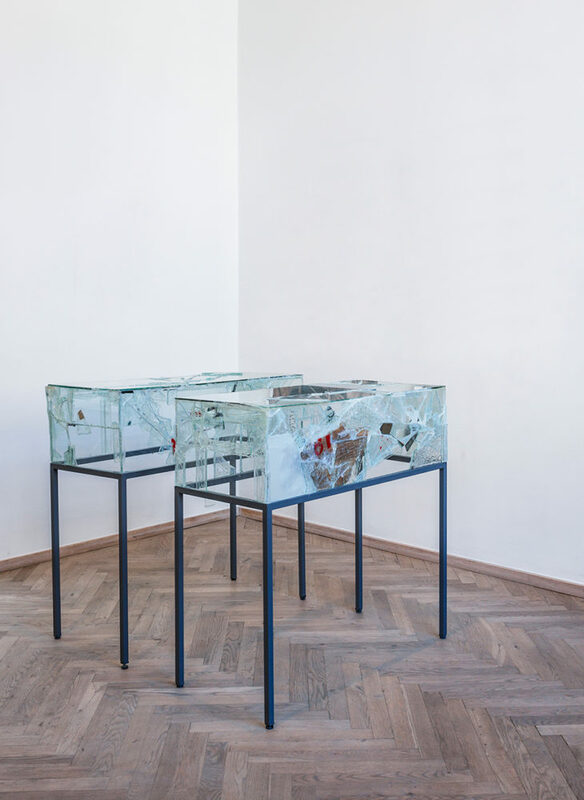 The display sculptures are site-specific objects in the way they procure their material from each city’s sites where they are going to be exhibited afterwards.